Our bodies are complicated machines, but that doesn’t mean they function perfectly at all times. Allergic reactions are the best example of this, as they are essentially caused by the immune system reacting to something that isn’t inherently threatening. Fortunately, using essential oils for allergies can quickly mitigate the symptoms of allergic reactions and regulate the activity of your immune system so it functions properly. Allergic reactions are something that almost everyone experiences at some point; your eyes get watery, your skin begins to itch, your lips or cheeks swell up, or you can’t stop sneezing, among a long list of other potential reactions. When this happens, it means that your body has been exposed to a substance that it has previously created antibodies for. When the antibodies are alerted to the presence of this “dangerous” substance, the mast cells on which they are located release a barrage of chemicals, including histamines. This stimulates blood flow to an area, as well as an increase in mucus release and general inflammation. Some of the common causes of allergies include pollen, and a wide range of foods. In terms of symptoms, allergic reactions can manifest in watery, swollen eyes, itchy and runny nose, sneezing, hives, cough, tightness of the chest, difficult breathing and facial swelling. Anaphylaxis is one of the most dangerous forms of allergic reaction, and can be fatal in some cases. These effects can be monitored and controlled, and allergic reactions can often be prevented, with the use of essential oils for allergies. These benefits are attributed to the anti-inflammatory, anti-allergenic, sedative, analgesic, expectorant and immune-boosting properties of these oils. Research has shown that basil oil is able to reduce the severity of the immune response when it is exposed to allergens. Furthermore, it can stimulate the adrenal glands, which can help the body overcome the various symptoms of allergic reactions, such as trouble breathing or mucus membrane inflammation. How to Use – To soothe allergic symptoms or prevent them altogether, mix coconut oil and basil oil in a 1:1 ratio and place a few drops on your chest, temples and the area above your sinuses. This oil is known to have a cooling and anti-inflammatory effect on the respiratory tracts, and can also help to slow down mucus production. When your body’s reaction a perceived threat (allergen), eucalyptus oil can moderate the response of your immune system. How to Use – You can simply inhale the oil to benefit from its aromatic compounds, or you can mix it with warm water and sea salt for a mucus-clearing gargle, which can also reduce inflammation in the throat. How to Use – Sprinkling a small amount of lemon oil on your pillow, or mixing it with warm water to prepare a nasal spray are two excellent ways to combat allergic overreaction by your body’s immune system. How to Use – For topical inflammation from allergic reactions, applying a small, diluted amount of clove oil (jojoba oil or coconut oil works best) to the affected area can quickly eliminate the irritation. This powerful essential oil has anti-inflammatory, antibacterial and anti-asthmatic properties, which can help to strengthen your respiratory system against allergic reactions and support your immune system to better cope with exposure to allergens. How to Use – You can add 3-5 drops of bergamot oil to a pot of steaming water, then place your head over the pot and inhale deeply. The aromatic compounds released by the oil should quickly soothe your respiratory symptoms. How to Use – For long-term allergenic protection, mix 5 drops of frankincense oil into your bath and soak in, allowing your skin and lungs to soak up this anti-allergenic substance. Simply inhaling the oil from a bottle can also clear the sinuses and stop mucus secretion. How to Use – You can apply lemongrass oil directly to the temple, although you may want to dilute the oil. You can also rub lemongrass on the chest to relieve tightness or swelling in that area of the body. This soothing, anti-inflammatory oil is legendary for its ability to calm coughing, cool an inflamed throat and eliminate symptoms of bronchitis and asthma. It can ensure clear breathing in the event of your airway closing during anaphylaxis. How to Use – This oil can be inhaled to have an effect, making it popular in diffusers and steam inhalation therapies, although 1-2 drops can also be used sublingually for rapid and powerful results. How to Use – This oil can be used topically (in diluted form) to clear up any skin inflammation, or it can be inhaled or used in room diffusers to offer long-term protection against seasonal allergies. This super oil from Australia boasts anti-allergenic, anti-inflammatory and antioxidant properties, which can inhibit the release of histamines, support the immune system and quickly remedy any of the symptoms should an allergic reaction occur. How to Use – This oil is typically used in a diluted form on the skin, to relieve topical inflammation, or it can be mixed with other soaps and shampoos to protect your whole body from unwanted allergic reactions. Under no circumstances should this essential oil be orally consumed. How to Use – One of the best ways to soothe the allergic response before it becomes too serious is to add a few drops of thyme oil to a steaming pot of water and then inhale deeply, allowing the aromatic compounds of the oil to clear your sinus passages. 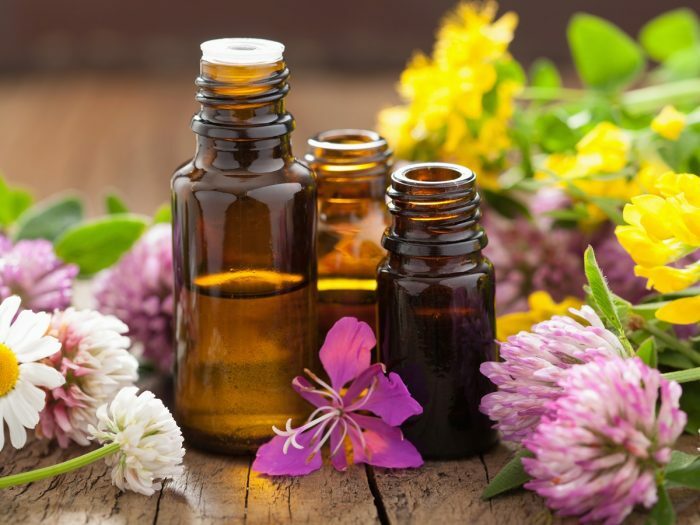 While using essential oils for allergies can be extremely effective as both a preventative measure and a treatment, there are inherent risks to using some of these oils. Negative reactions to these extremely potent oils are not uncommon, and in most cases, very small amounts can be effective. Excessive use can often cause irritation, toxicity, gastrointestinal distress and other unwanted side effects. If you are already taking allergy medication, it is best to speak with your doctor before adding one of these essential oil remedies to your health strategy. My latest outdoor project. Almost finished. I have been using dotterra essential oils. Frankincense and peppermint are really great. Aha, you’re back dear Roxy! Happy Father’s Day to you and your husband. Because I have the impression that at some stage in your life you had to fulfill both roles. That’s it! No more friendship, I’m upset with you… You didn’t comment any of my latest blogs, so don’t bother to read my article about the “First SE Cannabis conference” that I am preparing for tomorrow then. 11 Surprising Essential Oils For Allergies — The Oily Guru! | the happy body co-the journey from kitchen to ….